Nancy (Conroy) Stermer died on Wednesday, August 29, 2018 at the age of 85 after battling a long illness. She was born in Byesville on April 17, 1933 to Joan (Burt) and Thearle Conroy. Nancy graduated valedictorian from Byesville High School in 1951 where she was also the head majorette. She then pursued a career in nursing, attending the University of Akron. She returned to Byesville, working in the office of Dr. Clarence Apel. 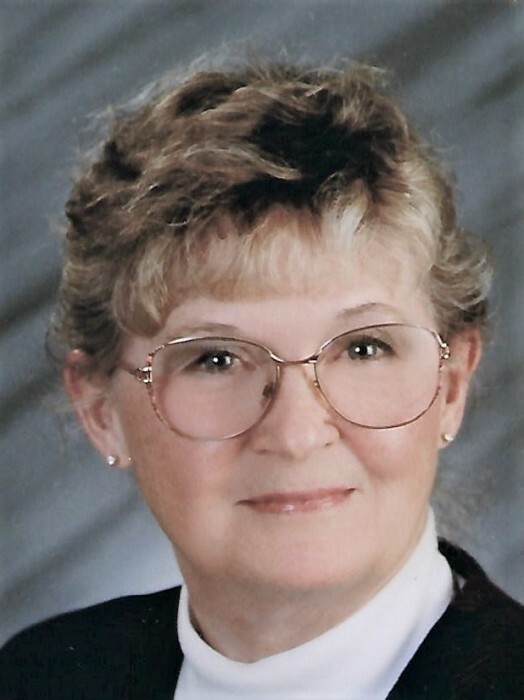 She was the first woman to serve on the Byesville City Council, serving for over a decade. The Jeffersonian often carried stories of her fiery debates with Mayor OJ Sharpe. Nancy was a cancer survivor and later contributed to many cancer research projects. After rearing her children, she worked for the Ohio Mid-East Government Association. Nancy then worked at Muskingum College for many years in the Office of Admissions. During that time she also attended college classes. In 1997, she graduated with a Bachelor of Arts in English and a minor in music at the age of 64. She retired in 1998 with her husband, Robert A Stermer. She had a lifelong love of music. She was the church organist at Byesville United Methodist Church over a 60 year period and served as the choir director at various times. She was a piano accompanist for various Meadowbrook students during the OMEA vocal competitions. She is preceded in death by her parents Joan (Burt) and Thearle Conroy, and her brother Jim Conroy. She is survived by her loving husband, Robert Stermer whom she married July 19, 1963, her sisters Judy Brink and Jane Knapp, her children Jeffery (Kelly) East, Daniel (Lori) Stermer, and Julie (Doug) Cantrell, grandchildren Joel (Lauren) East, Jess East, Emily Cantrell, Nathan Cantrell, Elizabeth Cantrell, Samuel Stermer, Katherine Stermer, Linsay and Kiel Kreuzer, great- grandchildren James William and Isabelle Grace East. In lieu of flowers, please donate to Hospice of Guernsey Inc.. P.O. Box 1165, Cambridge, Ohio 43725.